enabling a precise examination of relevant structures over time. performed with the SPECTRALIS imaging platform1,2,3,4,5,6. membrane opening, the anatomical outer border of the rim. varying geometry at the point of measurement”, said Dr. Burgoyne. Dr.
Dr. Gerhard Zinser, Managing Director of Heidelberg Engineering. 1. Chauhan B.C. 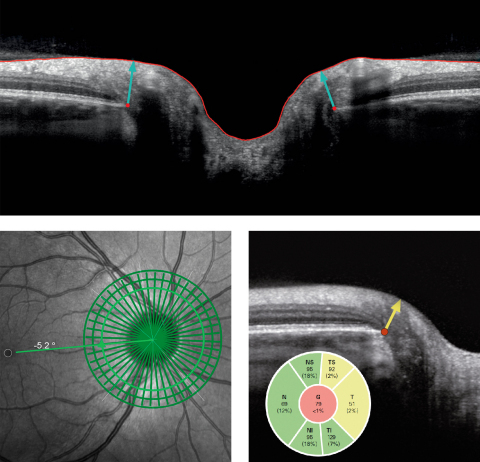 et al., Ophthalmology, 2013;120:535–543. 2. Chauhan B.C. and Burgoyne C.F., Am J Ophthalmol. 2013;156:218-227. 3. Chauhan B.C. et al.,Ophthalmology, 2015;122:1786-1794. 4. He L. et al., PLoS One, 2014;9:e92225. 5. Reis A.S.et al., Ophthalmology, 2012;119:738–747. 6. Reis A.S. et al., Invest. Ophthalmol. Vis. Sci., 2012;53:1852–1860. most common causes of blindness. degeneration, diabetic retinopathy, and macular edema. and IT solutions for image management.